Perhaps the most popular sport in the country, wrestling competitions are major events. Renowned wrestlers covered in dust do battle in stadiums complete with floodlights. Large crowds shout support over blaring music and beating drums. Watch – or have a go yourself – and understand why the sport elicits such frenzied admiration. The town of Bor hosts events every weekend. South Sudan's second city, Wau is home to a plethora of colonial-era buildings and a mix of tribes that give the city a cosmopolitan air. Its domed 1913 cathedral is the largest in the region, while Wau is also the terminus of the country's only rail line, snaking its way slowly north to Babanosa in Sudan. A vast inland sea formed by the Nile, the impenetrable nature of the Sudd's tangled vegetation has made it a fantastic place to witness a wetland habitat undisturbed by the modern world. For a magical journey take a canoe out onto the water and paddle amongst the hippos that live there. Nimule National Park is the country's most accessible. Visitors can hire a boat to Opekoloe Island for the best sightings of elephant, before heading out to Fola Falls with a an expert ranger. Here you can not only witness the impressive spectacle of the cascading water, but also watch fishermen cast out their nets under the watchful gaze of crocs and hippos. Still in its infancy, like South Sudan itself, there is a burgeoning hiking scene in the forests of the Imatong Mountains, whose peaks offer spectacular views over the plains into Uganda. With luck, you'll be able to catch sight of elephant and leopard too. The world's newest capital city is the place to visit if you want ringside tickets for the spectacle that is nation building. Juba is a fast-growing boomtown, with new buildings being thrown up on a weekly basis. Of the sites to visit the most important is the memorial to John Garang, who led the Sudan People's Liberation Army for over 20 years. 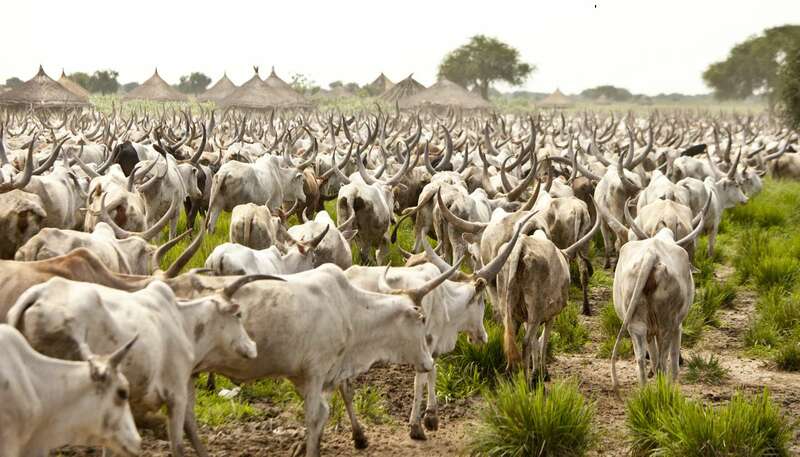 The majority of the Dinka tribe remain nomadic farmers, so their cattle camps offer a fascinating view into a traditional way of life and show the importance of cattle to the tribespeople. Boys live alongside herds of more than 500 long-horned cattle in the camps, which are generally situated around Bor. With 90% of South Sudan sitting in the White Nile basin, including the capital, Juba, the Nile plays a significant part in everyday life. Head to one of the capital's many restaurants or bars for views of the longest river in the world as the sun sets in a magnificent display of colour. A closed city for almost 500 years, due to its sacred connections for the kings of Shilluk, Fashoda, now rechristened Kodok, is also famously the site where France and Britain almost come to blows over control of the region in the 19th century. Forget Serengeti's wildebeest migration – for the world's largest mammal migration head to Boma National Park. This protected area is home to millions of white-eared kob and tiang antelope, which thunder across South Sudan every October. This great spectacle has endured many wars, though threats from conflict remain. As well as antelope, the park is home to lions, elephants, giraffe and cheetah, to name a few.